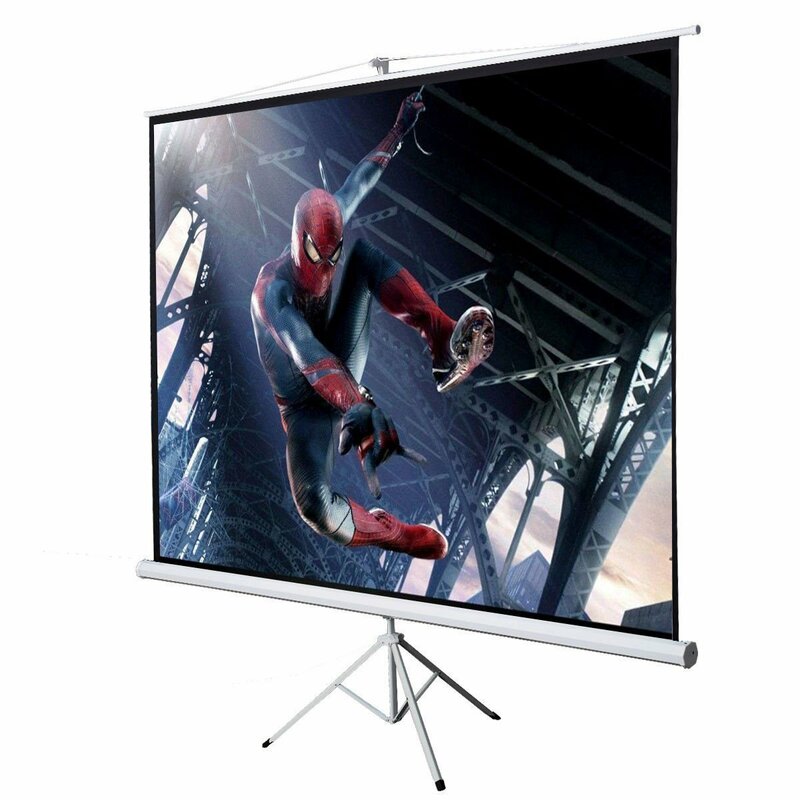 A white, portable, high gain projection screen that will help your projector for a high quality picture output. This rental projection screen sits on a tripod and is very easy to set up. A portable, high gain projection screen that will help your projector for a high quality picture output. This rental projection screen sits on a tripod and is very easy to set up.